London dances to the tune of Gorsky's billions. 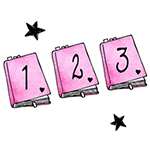 The most enigmatic of oligarchs, Gorsky desires and get the best of everything and now he has his sights set on Natalia. That is she married is an inconvenient detail. Nick works in a shabby-chic bookshop. When Gorsky approaches him with the commission of a lifetime, Nick suddenly gains access to the world of the wealthy and the beautiful. But this privilege comes at a price and Nick finds his new life suddenly fraught with danger. 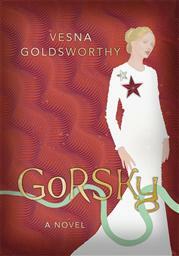 I was purchasing another book and having a conversation with the book seller about my love of F. Scott Fitzgerald's, The Great Gatsby, when they suddenly thrust a copy of Vesna Goldsworthy's Gorsky at me. I felt compelled to buy it, to see in what way it was similar and dissimilar to my beloved classic. Similar it is. Goldsworthy replicates each notable character with a 21st Century version, setting them all in the high society realms of London. But essentially the plot is exactly mirrored, from the long lost love Gorsky has pinned his whole life and hope on, the murky and mysterious rumours that surround his wealth, the building of the dream home, from which he can spy on his love interest in her current life and having a useful aid in narrator Nicholas Kimovic living within his grounds and on his payroll and opening his sheltered and safe world to a whole other - and the list continues - Tom Summerscale, Natalia's husband for example, is having an affair with a 'lower class' women, whom he is pertinently open about with Nicholas, leaving him carrying around the secrets of more than one couple. There is no doubt this is a blatant retelling of The Great Gatsby, there are no real dissimilarities or new entities involved, but as long as this is made clear to the reader prior to them deciding whether they want to read it or not I think it is fair. And the retelling is done well. The writing of Goldsworthy is decadent and elegant and a joy. She has also made a few of her characters more palatable to me than the original (namely Natalia and Gergana Pekarova) - although the opposite was true for me of her star character - Gorsky is no Gatsby. I really struggled to get my head around this being set in the modern day too, as some aspects for me, such as the setting of the bookshop - which is very important - instantly transported me back to the time of the original Gatsby for some reason - maybe I just couldn't allow my mind to leave the original alone enough. If you struggle with period based classics, retelling a story can be a god-send. I devoured and enjoyed this modern twist but it will never surpass the original, which I think I could read, literally every week to be honest. But for a younger generation, this might be a wonderful way of encouraging them. A way of enticing them in and piquing their interest in a set of generational novels they might previously have never looked twice at.